A basic hairstyle, the ponytail is a unisex style where the hair is pulled straight back, bound near the scalp with a band. Sagittarius is represented in the zodiac by the mythical creature, the Centaur. Half man, half beast, the animal element of Saggy is the body of a horse, which can be seen in our Sagittarius sisters as they stride from here to there with the gorgeous galloping legs. The origin of the pony tail name is obvious – the hair hanging down resembles the tail of a horse or pony. Is is any wonder those born under the sign Sagittarius also feel right at home with their hair pulled back in a practical yet fun style? 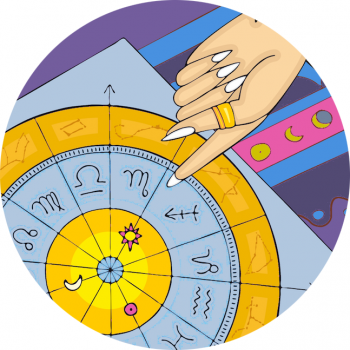 All the zodiac signs in astrology are dived into either a masculine or feminine force, positive or negative. The fire signs are positive, along with air, also masculine. This sometimes gives fire signs (and air) sisters a slightly more dominant edge. Ponytails are a beauty look adopted early by men. In the 6th Century, Mayan dudes wore wide ponytails or several mini ones in ornamental bands. According to Merriam-Webster, the word “ponytail” entered the American vernacular in 1951.